The first Art Center graduates to enter the automobile design field were placed in positions with General Motor Buick Division in Detroit, Michigan, as early as the mid-1930s. A few industrial design students, including John Coleman, George Jergenson and Strother MacMinn, were fascinated by automobile styling in an era when U.S. mass production car design was still rather primitive. 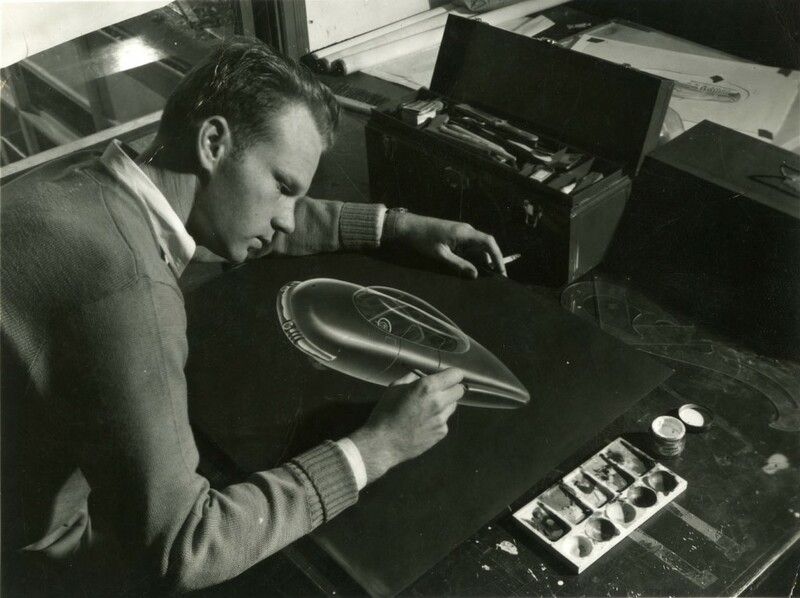 In 1948, MacMinn, Coleman, and Jergenson joined the Industrial Design Department and established the schools’ connection with transportation design–a field that lifted Art Center into international prominence. Below are some early photographs from circa 1949 of students working on transportation design projects. A student completes a color sketch prior to modeling in clay, circa 1949. Art Center College of Design. 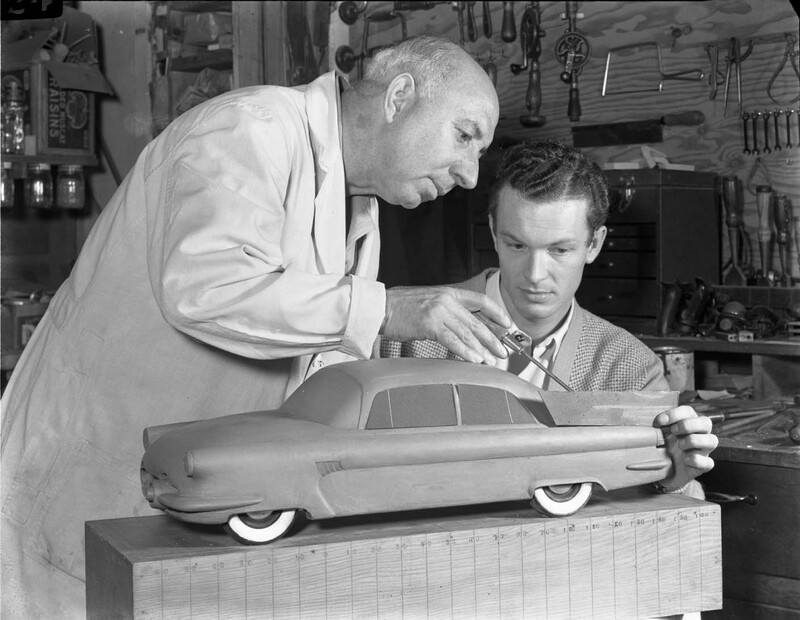 Joseph Thompson advising Robert Bartholomew (PROD 1950) as Robert works on a clay model of a car, circa 1949. Art Center College of Design. 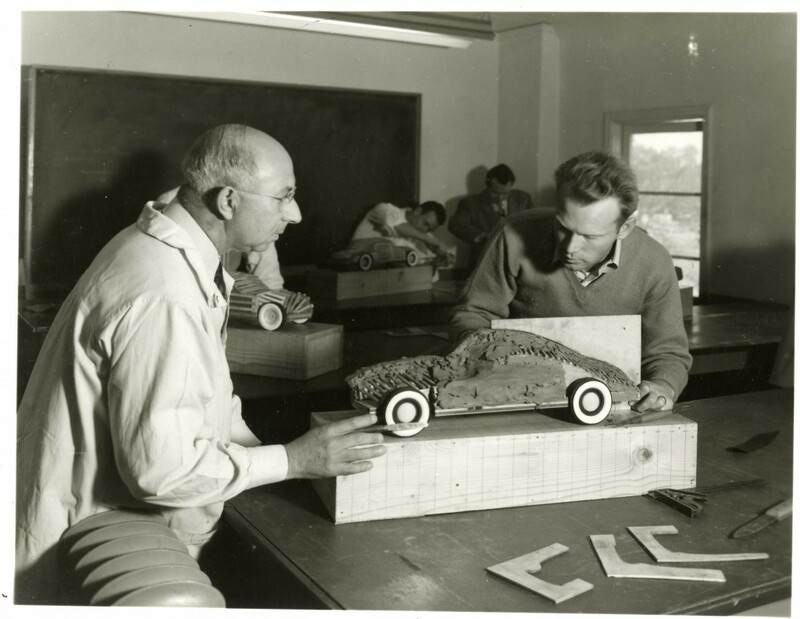 Joseph Thompson viewing a student’s clay model of a car as the student works on the model, circa 1949. Art Center College of Design. By Robert Dirig in Uncategorized on April 25, 2014 .